So you want to be a Copywriter and master Copwriting? How many of these 10 Copywriting Secrets do you know? If you are excited about Copywriting, you will love my free short video training course which you can discover here. Are you looking for a copywriting job or do you NEED to learn how to write copy to market your products and services online? I am guessing, that unless you are auditioning for Mad Men, its the second option! Great written copy is organised text which is designed to trigger your emotional impulses to make you do what the writer wants. This means that you can de-code the “formula” and understand the what, why and how of every advertisement or promotional copy you have ever come across. WHAT really matters to them. Remember, people buy on emotion but they justify their purchases rationally. If you can answer these four questions, you can start to focus your script to address them and if you answer all four questions in the mind of your reader, you are much more likely to end up making a sale. Secret 3 – Your Customer can write your Copy for you! 3. Which features influenced your buying decision? 10. How would you recommend our product to someone you know? This is gold! Note word for word – and get a testimonial if you can too! Every sale is making an offer and a promise to the buyer which needs to be clearly stated and easily understood. In an online piece of copy, this needs to appear on the first screen, before they scroll down (above the fold). Image – we all like a good product image, so include at least one here. Don’t worry if half the image goes below the “fold” of your screen, it will make your reader scroll down to see it and that will make them more likely to the rest of your copy. Lets face it we all like a deal! If you can add some features to your offer which your competitors do not offer, then this will help you to stand out! Try including some of these next time you put a sales proposal together. If in doubt, see what Amazon does and copy them! Are you finding this helpful? 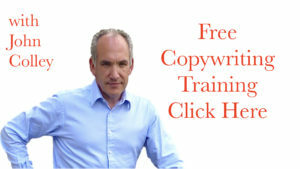 If you would like to discover my free Copywriting video training course just click the link here. As mentioned above, making a sale is about making an emotional connection with your customer or prospect. Think about addressing these five issues in your copywriting to make it easier for them. Clarity of Value Proposition – this is getting value to trump price. If they believe that the value of your proposition is high, the price will appear reasonable. If not, it won’t. This is why you have to focus on benefits over features, explaining to them how they will benefit from their purchase. Incentive to Take Action – you want them to buy now, so adding reasons for them to do this is important. Time limited offers, scarcity of the product, extra bonuses which are only available for a limited time. All of these give your customer a reason to buy now. Reduce Transaction Friction – Amazon has a one click check out which makes it really easy to buy from them – and they patented it too which shows how valuable they think it is. Make it as easy as possible with as few steps as possible for your customer to close the deal with you. Minimise Anxiety – explain exactly what the customer has to do, what information is needed where and why, provide as much information about the sales process, including what happens after the purchase is made. The final step is offering a money back guarantee. Take away all the risk – very few people ever claim these – and by reversing the risk and putting it all on you, they will have their final purchase objection removed. Just ask Professor Robert Cialdini – or better still go and read his books! Influence and Pre-suasion are two I would recommend. He has come up with Six Principles which will help you to influence people to do what you want them to do and which you need to reflect in your copywriting. Reciprocity – if you give something to someone, they will feel obliged to give something back to you. Share something valuable, give away something for free or add value before you try to sell. Liking – we all prefer to do business with people we like. So, make an effort and be a little more friendly (my wife tells me this all the time, Mr Grumpy!). It takes time to get to like people which is why you can expect to have to have six or seven interactions with someone before they are ready to buy from you. Social Proof – in the world of online social media, this has never been more true. If I tell you something wonderful about me, you won’t believe it. If your best friend tells you something wonderful about me, chances are you will. Authority – we all look up to people we regard as experts. So, given that an expert is only really someone who knows more than you do, try positioning yourself in a position of authority vis-a-vis your prospects. Consistency – once we make an initial stand on something, we will continue to act in a consistent way. So you want to try to get your customer to take the first small step towards becoming a customer, making a $7 purchase and this will make them much more likely to make larger purchases from you in future. Pain – identifying the pain and reminding them of how bad it is. Don’t be afraid to really twist the knife here. You want your prospects to be really miserable!!! Claim – you have to be able to back up what you say with proof; evidence, testimonials, test results, case studies. The more believable you make your proposal the more likely your prospects are to make the investment. Gain – Whats In It For Me? Really communicate that your prospect will have a MUCH BETTER future after making the wise decision to invest in your product and service. Benefits need to be explained but you want them to FEEL that things are going to be better in their life and for their family. Then they will be jumping at your proposal. When you think about your products and services, you should think about them as having unexplored depths and its your job as a copywriter to explore those depths and peel back those layers – just don’t mix your metaphors! At the most basic level, products (and services) have features which you can list and specify. These are interesting but not if you want to sell. So you go down a layer and look at the benefits relating to those features – answer the “so what” question or continue the feature sentence with “so that…” This explains how the item does what it does and why that feature helps you solve your problem. The next layer down helps you address the benefits which accrue from solving the problem with the product (as opposed to the nitty gritty of its specification). This includes saving you time, money, making your life easier, more pleasurable, healthy, wealthy and wise! Finally, we get down to the emotional level and this is where the selling really happens. This is where you connect with the product because it excites you, gives you a sense of relief or peace of mind or where you feel the product is going to help you achieve something or gain recognition. The deeper your sales message goes, the more sales you will make because you will connect with your customer on an emotional not a rational level. Step 1 – Headline and Subheadline – this gets your reader’s attention and gets them to read further to develop their interest in your product or service. Step 2 – Identify the Pain – they may have forgotten they have the pain, so you need to remind them and make them really feel it. Without this they are most unlikely to buy. Step 4 Benefits – explain the benefits of the product and how these address their need and solve their problem. And yes, you really do need to spell it out to them. Step 6 – Offer – now you can make your pitch and name your price – they are ready to listen to your offer but may not have overcome the objections which are still in their heads (these normally centre around it won’t work, it won’t work for me and I can’t afford it). Step 8 – Scarcity – you want them to buy and you particularly want them to buy now. Later never happens. So give them a reason to close the deal in a very short time frame. Step 9. Call to Action – tell them EXACTLY what they need to do to complete the sale! Step 10 PS etc. Add PSs to reinforce your sales messages and call to actions. These 10 Secrets are just the starting point of Mastering Copywriting which is really great fun to do. I particularly enjoy reading Adverts in magazines and newspapers and de-constructing them to understand why they are saying what they are saying and how they say it. If you would like some more free training from me, click this link to enroll in my short video training course! 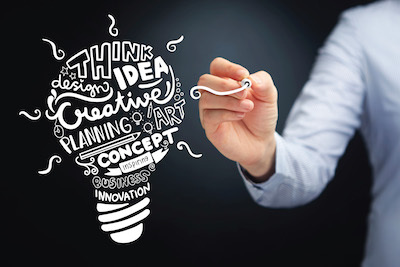 What are your thoughts on Copywriting, leave me a comment below!